Another great old Limbertwig variety from the Cumberland Mountains of Kentucky. True Limbertwig flavor and good for cooking and fresh eating. 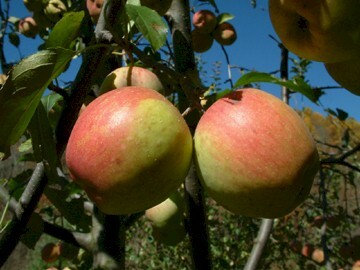 Fruit is below large, somewhat elongated to slightly tapered with greenish-yellow skin, partially overlaid with light reddish-orange skin. Wonderful fresh eating apple with a firm, crisp texture. Ripens late and is an excellent keeper.